Do you like to dabble in the arts? We found a place where you can learn jewellery making with beads and lots of other trinkets. 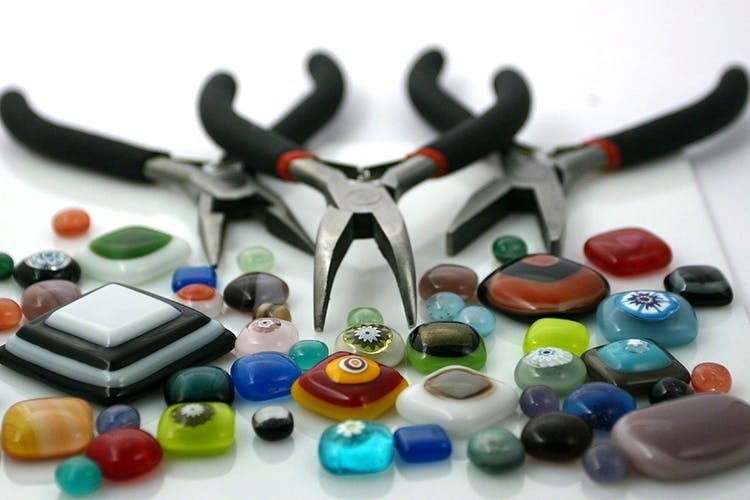 We found a jewellery making class in Amboli, Jogeshwari. If you want to learn how to make imitation jewellery, Amruta is your go-to person. She’ll schedule classes for you according to your needs. If you’re working and can only attend in the evening, she’ll schedule a class accordingly. She teaches jewellery making in 12-15 classes and the course will cost you INR 4,000. If DIY is your jam and you own it with elan, why not make your own jewellery and acquire a new skill while looking awesome? Next time somebody asks you where you got those earrings from, you know what to say!